Campingplass Capo Scalambri er en campingplass i Punta Secca, Ragusa, som ligger ved sjøen. Denne campingplassen har steder med avgrensning, med skygge og plasser med noe skygge. Camping Capo Scalambri ligger i nærheten av en sandstrand. Det er mulig å leie leiligheter. Campingplassen har lekeplass. I nærheten av campingplassen kan man svømme i en sjøen. Ved Camping Capo Scalambri kan man drive med snorkling og vindsurfing. Denne inspektøren besøker hvert år Campingplass Capo Scalambri og inspiserer campingplassen for ca. 200 fasiliteter og for andre punkt som forekommer. Inspektøren er en medarbeider fra ACSI og arbeider ikke for campingplassen. Stayed for 8 nights. Very helpful owner who gave us excellent information on where to visit. Easy 15 minute walk into town. Beach nice but very rocky access to the water. 1 mile left out of the site is a brilliant cove with sandy access to the sea. Toilets clean but showers outside with little facility for hanging clothes. Could do with updating. Wonderful beach and relaxed atmosphere, enjoyed it immensely. Take a couple of good books though, not a lot else to do other than enjoy the fabulous beach. Had a fantastic stay here. Can't wait to go back. Staff were lovely; polite and very helpful. They gave us lots of info about surrounding areas etc as this was our first visit to Sicily. Vil du booke Campingplass Capo Scalambri eller få mer informasjon? Det går bra med opplysningene nedenfor. 97010 / Punta Secca/Santa Croce Camer. 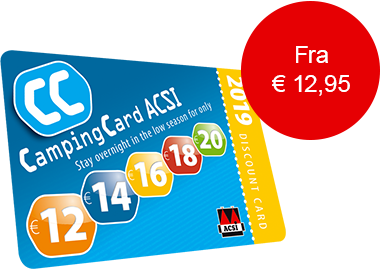 ACSI Eurocampings sender din forespørsel til "Campingplass Capo Scalambri".